Let's Do It for ME! : The Big Sleep for ME is back! The Big Sleep for ME is back! The Big Sleep for ME is back for its third successive year. With your help, and that of its business sponsor Vintage Wedding and Home, it’s going to be even bigger and better. This fun and inclusive awareness and fundraising event for biomedical research, includes a mass sleepathon that runs throughout ME Awareness Week 11 – 17 May, as well as an opportunity to hold your own ‘sleep inspired’ event, such as PJ parties, PJ Pride Days, Sleepwalks, Sleep-cycles and more. The Sleepathon is extremely easy and flexible to take part in and means that anyone, even those with severe ME, can do their bit. All you need to do is lie back, make yourself comfortable, and, if you really want to, sleep! Do it at home or anywhere that takes your fancy, either on your own or as a group. And if you feel like it, dress up for the occasion. If fundraising, just get people to sponsor you, and for awareness, just let others know you’re taking part. The same applies if you’re holding your own ‘sleep inspired’ event. 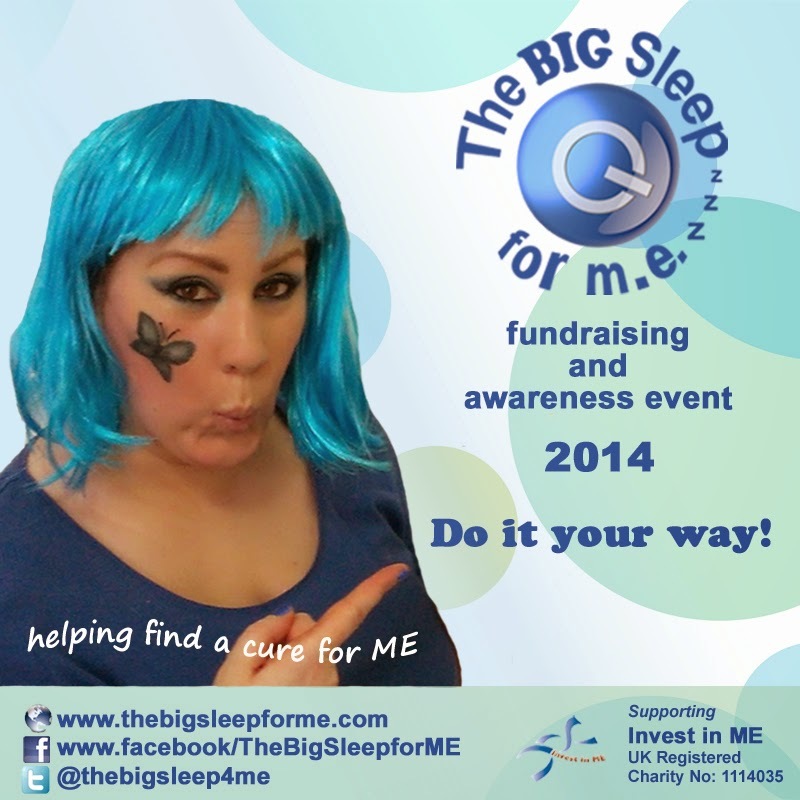 The Big Sleep for ME likes to celebrate ME Awareness month in style, and will be getting in the party mood by running competitions and even having a Facebook disco. Anyone is welcome to join in the competitions and disco, so keep an eye out for updates on Facebook and Twitter. 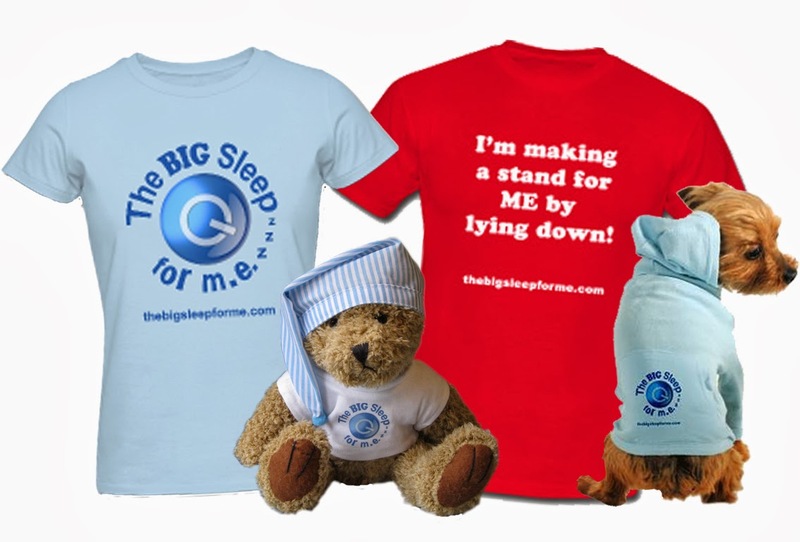 You can now also buy all sorts of fab Big Sleep merchandise in their online shop, from tops and sleepwear to their very popular Snugzie bear. All purchases help to raise even more money for biomedical research as all shop profits are donated. There are also rumours that badges and balloons will be available shortly to make your Big Sleep really go with a swing! It’s all happening at The Big Sleep for ME. It’s great to have such an inclusive event that means everyone, from sufferers to healthy supporters, can unite together to do something positive for ME. The event is already shaping up nicely and participants have been coming up with lots of fun ways they’ll be taking part, such as a PJ coffee morning and The Princess and ME, a group of ME sufferers who will be dressing as princesses and turning into real-life Sleeping Beauties to coincide with ME Awareness Day. So, why not join in the fun and do something for ME? The Big Sleep for ME was set up to fill the need for a completely inclusive ME event that anyone, including those with severe ME, could take part in. Given the limitations severe ME imposes, a great deal of thought went into what kind of event could take place. In the end, the solution was so obvious. Since, many with ME have to spend a lot of time lying down either on a sofa or in bed and some sufferers are completely bedbound, why not turn this into something positive and have a mass Sleepathon. The Big Sleep for ME was born! 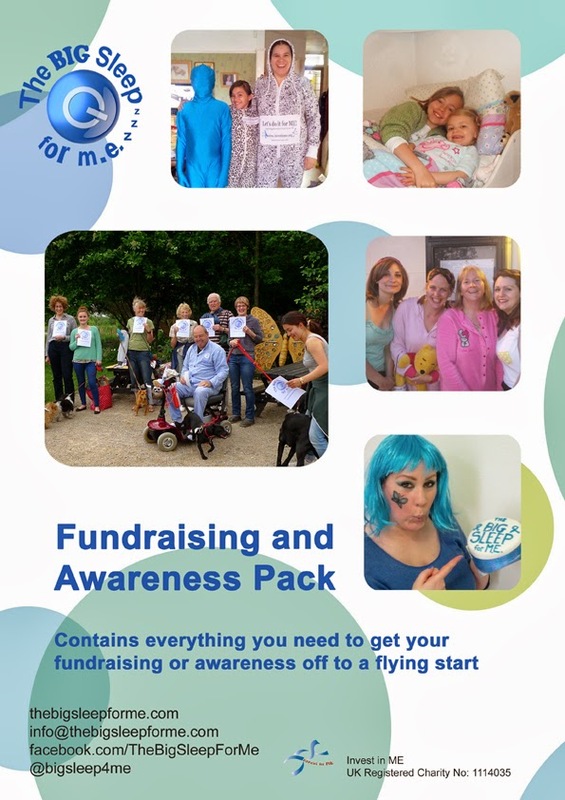 Whilst the event now encompasses all manner of ‘sleep inspired’ events and is about having fun, it also has a serious side which is to not only raise much needed awareness and fundraising for biomedical ME research, but also to increase awareness of ME generally. Find out more about the event on their website. The event also has its own Facebook page and is on Twitter, you can email them too. To make things easier, the team has set up a group JustGiving page which you can join and there’s a downloadable Fundraising and Awareness pack and School Leaflet, should you wish to get a school involved, in their online toolkit. You need to register to take part, but as thank you you’ll be entered into a Free Prize Draw. This helps them to keep track of everyone and plan for future years. If you can’t take part, but would like to support the event you can always sponsor someone you know, or make a donation to The Big Sleep for ME fundraising group on JustGiving. With special thanks to Julia Cottam from our ‘Let’s do it for ME’ team for thinking this up this event, and for all the hard work she puts into this inclusive and positive venture, as well as to everyone taking part.